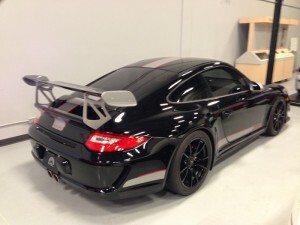 Considering a non-skid finish for your garage floor? 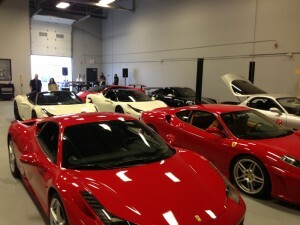 Check out the images below of one of the garage flooring projects Hardscapes recently completed. 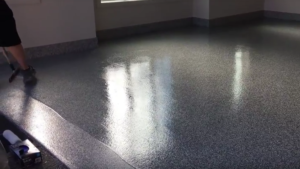 We used a polyaspartic coating with metallic pigments to give a long lasting, incredibly durable and easy-to-clean flooring system. Introduced in the 1990s polyaspartic became a new class of coating. Because polyaspartics can be formulated with slower reaction rates, they can be roller-applied or spray-applied with conventional paint sprayers without the use of solvent. 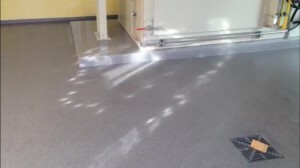 Polyaspartic coatings are 100% UV resistant and will not age or yellow, have a non-skid texture which ensures safety and provides years of easy maintenance. 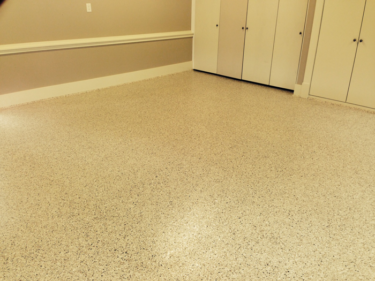 There’s still time this summer to give your garage floor a facelift! Give Hardscapes a shout at 403-547-5597 for more information or to discuss your concrete project ideas. Here is another example of a beautiful flake broadcast garage floor we installed using a TF 80 Slow Polyaspartic. This Polyaspartic was manufactured by Tarrafuse Inc. 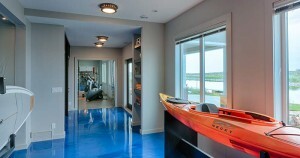 Contact us for more information on how to get your garage floor to look like this. This front entrance was remodeled in just two days. We widened it a foot by using a fast cure TF structural concrete mortar. 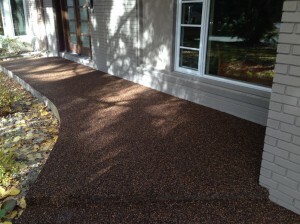 We then beautified it using our TF polyaspartic river rock topping. 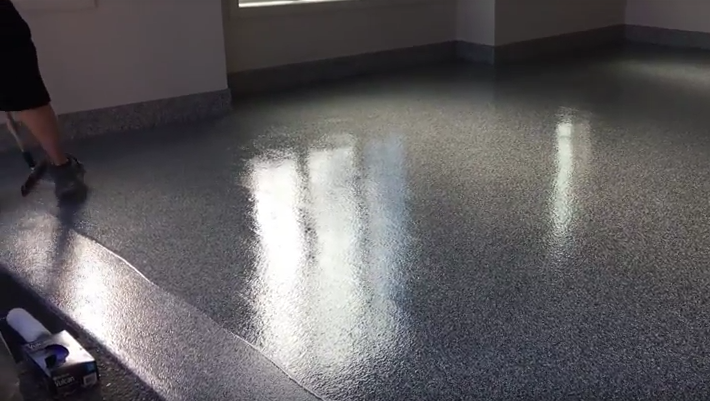 This new product outperforms traditional epoxy stone products by offering 100% UV stability and no need for annual re-coats. Hardscapes Inc. has a solution for all your concrete restoration and development needs. For a free quote or more information on how we can bring your concrete to life contact us or fill out our request form. Introduced in the 1990s polyaspartic became a new class of coating. Because polyaspartics can be formulated with slower reaction rates, they can be roller-applied or spray-applied with conventional paint sprayers without the use of solvent. Polyaspartic coatings are also UV and light stable and will not age or yellow. 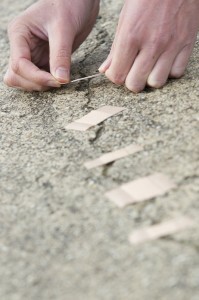 This format can also be applied with broadcast medias such as quartz and vinyl paint chips. Hardscapes Inc. often uses these polyaspartics components as well as incorporating metallic pigments to give a long lasting, incredibly durable and easy-to-clean flooring system. 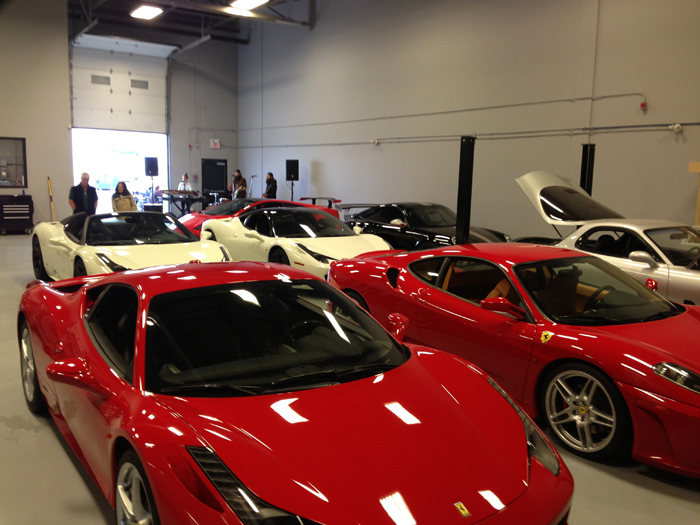 This week Mobile Solutions Calgary opened its doors to its clients to show off some beautiful exotic cars and to highlight the amazing floors created by Hardscapes Concrete. Specialty logos and design as well as custom colours are what make Hardscapes Concrete Inc. the #1 choice for a truly one-of-a-kind floor. 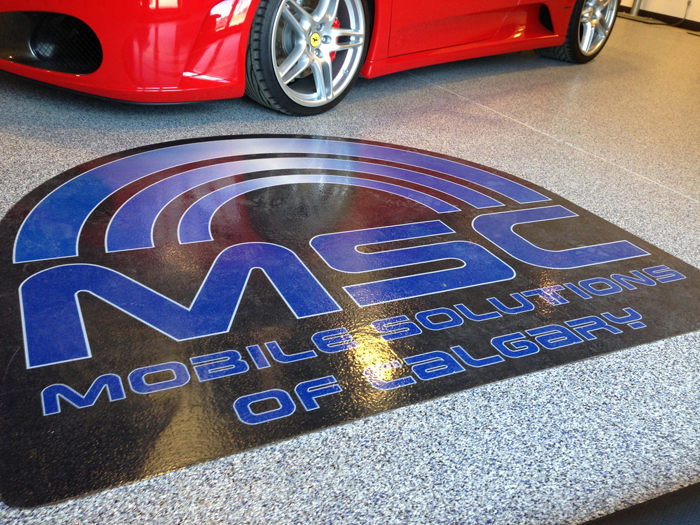 Feel free to stop buy Mobile Solutions at 2331 50 Ave SE #136, Calgary, to see our high performance coatings and floors in action. Hardscapes Inc. supplies and installs products for many high-end custom home-builders. One of our most recent projects that we had the distinct privilege of being involved is the Hospital Home Lottery – Lakeside Luxury Showhome by Calbridge in the community of Mahogany. If you head out to the lotto home at 111 Mahogany Bay SE, Calgary, check out the flooring in the “Surf Shop” room on the walkout level! 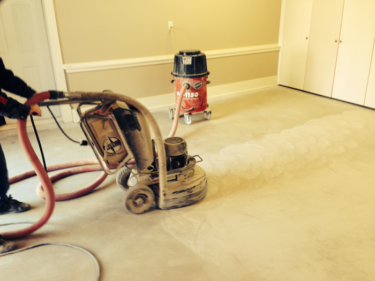 It’s one of many decorative concrete flooring options we specialize in. To discuss a project or installation you may be considering, call 403-547-5597, or email sales@concretecanada.com. We look forward to sharing our creativity and expertise with you! Please note: the lotto home will open Saturday August 31, 2013.